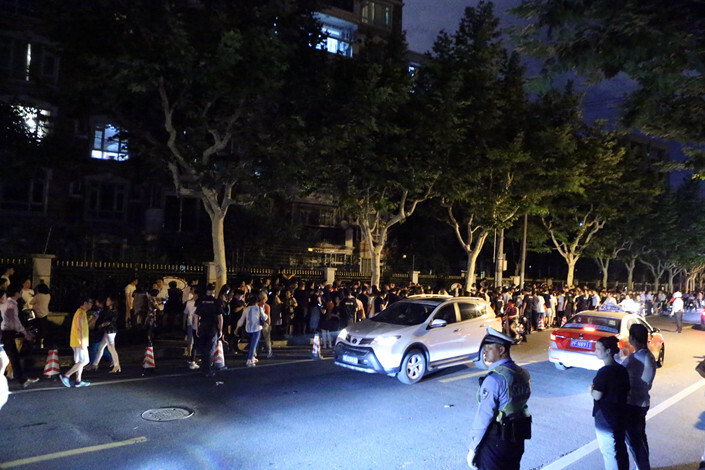 On June 28, a 29-year-old man wielding a kitchen knife attacked a parent and three children outside an elite private elementary school in Shanghai. Two of the children, boys named Xiao Wen and Xiao Xuan, died from their injuries. Huang Yichuan, who moved to Shanghai to find work earlier that month, was arrested. His murder trial has been repeatedly delayed and the victims’ families are anxiously awaiting the day he appears in court. Many stories of violence committed by men have hit the headlines this year. In May, a man killed nine teenagers outside a school in Northwest China’s Shaanxi province. Also in May, a driver for the car-hailing service Didi murdered his 21-year-old female passenger. In August, another female passenger was raped and killed by her Didi driver. Many of these incidents have been blamed on mental illness. The killers — all under 30 — were said to be “taking revenge,” or loners or abnormal in some way. The Shanghai slayings are no different. Together, they paint a picture of the growing pressure for success on young people, the shame that comes with failure and the lack of mental health care. Police said that Huang was “taking revenge on society,” but a source told Caixin that a psychiatric evaluation commissioned by the Ministry of Justice showed that he was having a schizophrenic episode when he committed the murders. Several interviewees said that Huang hadn’t done well enough on his college entrance exam; he failed the postgraduate entrance exam twice; he had lived in and failed to find a good job in Xiamen, Wuhan, Guangzhou and Shanghai. In one of his notebooks, Huang noted people around him on whom he wished to get revenge by slapping their faces or legs. He seldom expressed his feelings in normal ways. The police said that many of his former acquaintances thought Huang was just a normal guy, though maybe a little introverted or oddly-behaved. 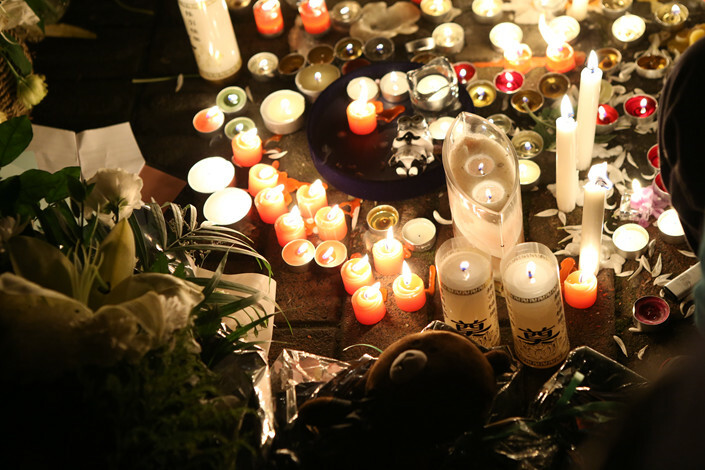 The news of Huang’s mental illness was uncomfortable for the families of the victims. “Looking at when he committed the crime, he had the ability to act clearly. They say he’s mentally ill, but he has never seen a psychiatrist,” Li Yue, the mother of one of the victims, said. Huang’s trial was originally scheduled for late August 2018. It was delayed, and then delayed again. There is no clear timetable yet. Huang was born to two civil servants in Suining in western Hunan. When he was young, his parents divorced, and he went to live with his mother, Chen Feng. Chen coddled her son, making sure he was thoroughly provided for and arranging everything for him. She felt that she “cared for him carefully,” unlike his father, who she felt “doesn’t care about his son.” He was a picky eater, so she brought him food for lunch, which she continued to do through his years in high school. When it was hot, she would make up an excuse to take him out of school and let him eat lunch and nap at home. In 2007, Huang took the college entrance examination. He had high expectations, and was disappointed when he could only get into a less-prestigious technical college. The summer after the exam, Huang barely left the house. Huang explained to Chen that there were two reasons for his failure: first, his glasses broke not long before the exam, and the replacement glasses made him dizzy; second, he needed his mother to accompany him to study at home. In two months he spent living with his father before the exams, he was often left home alone, where he would watch TV or play on the computer. When his father and stepmother were home, his stepmother would watch TV too loudly for him to be able to concentrate. After his results came out, Huang wanted to punch his stepmother. “Hurting her only dirties your own hands,” Chen told him. When Huang went to university, he ran for class president and lost. He didn’t have any art skills but studied architecture, and his classmates often made fun of his poor painting ability. Surrounded by students from all over the country, Huang felt out of place. In the eyes of many of his classmates, Huang was strange. For example, he often put dirty socks on the window sill of his dorm room. Despite people complaining to him, he didn’t care. Often, when discussing problems with his classmates, he would laugh without any clear reason, which many took as him laughing at them. He made a list of books that included reading materials for his course, books on construction, English, PC technology and design. Once reading these, he planned to master economics, philosophy, history, culture and literature. As graduation approached, Huang appeared in class less, and go out socially. After graduating, he lost contact with almost everyone — he had suffered another blow. He took the postgraduate entrance exam in 2012 and again in 2013, but his scores weren’t good enough. But he lied to his parents and friends that he had passed the exam in 2013, and would study for a master’s degree at Southeast University for three years. Huang had told his mother that he was admitted to the postgraduate department of the Southeast University's Department of Architecture in 2013. He said he didn’t need a penny to cover tuition fees. When Chen called him, he always said that he was travelling with his mentor to do projects around the country. "Every time we say that we are going to visit him, he refused," his father, Huang Jun, said. Huang rarely spoke with his family about his life and work. When he and his mother spoke on the phone, she would ask: are you eating well? Where are you now? Huang usually responded: there’s plenty of entertainment here; I’m eating well; I often go to high-end hotels. He also told his mother that he had gone on holiday to Singapore and Japan. He also told her he was making 3 million yuan ($438,253) per year. He didn’t return home from August 2012 to November 2015. When he finally did, his mother noticed that he looked dirty and was poorly dressed. He started coming home more frequently, claiming that he could work from home. He returned home several times over the next two years, eventually staying for more than a month over the Lunar New Year period in February 2018. Chen noticed that he seemed very lonely and wore winter clothes in the summer. But he was still describing his glamorous life to his parents. In May 2017, he told Chen that he had spent 2 million yuan to buy a small villa in Wuxi, a city near Shanghai. In 2018, Huang said he had sold the villa and bought a 120-square-meter block of commercial housing for more than 4 million yuan. He said he had taken a 1 million yuan loan and owed his friends 200,000 yuan. He also claimed to have had three girlfriends, one of whom he said he was set to marry in November 2018. But his parents never met any of them, nor did he send them any photos. Neither of his parents actually knew where their son worked. There were several resumes on his computer — many of them conflicting with each other — that claimed he had work experience at a number of design and architecture firms around the country. All denied ever having an employee with that name. In retrospect, Chen Feng felt that her son’s behavior over Lunar New Year was a little odd. He seemed particularly lonely and anxious. She said he barely went out during the day, shutting himself in his small room when he wasn’t eating meals. She said he was also more violent. On one occasion, Huang put a garbage bag at the door of someone else’s house. After Chen swept it away and reprimanded him, he told her to “mind your own business” and kicked her. Twice, he went out of the kitchen with a knife in a bag. Chen did not dare ask where he was going. Another time, Chen scolded Huang for not being clean. “Your future wife will dislike you,” she said. In response, he grabbed a knife and threatened to cut her. She locked herself in the bathroom and hid for a long time. Chen was afraid of her own son, and they spoke very little. Huang didn’t tell her what was going on in his life, and the more she asked the more violently he would respond. According to Chen Xia, Huang’s grandmother had suffered from schizophrenia. She was treated in many hospitals in the 1970s and died in 2014. After he killed the two children, Huang said that he had suffered from auditory hallucinations: different voices in his ear “saying I am bullied, I can’t find a job, I’m a joke.” He said that it had tortured him for a long time. In his self-report, he said that he had also become sensitive to the sound of doors opening, the sound of dripping water and all sorts of small noises. Huang said that he was “psychologically unbalanced.” For example, he said that once a colleague glanced at a trash can and then looked at him. He took this to mean that his colleague thought he was trash. At about 10 a.m. on June 28, Huang bought a bowl of porridge for 15 yuan in a restaurant near the Shanghai elementary school. As he paid, he complained to the waiter that the price was too high. But before his porridge arrived, he abruptly stood up and rushed out. At the same time, Xiao Xuan and Xiao Wen won the “class scholarship.” Of the eight winners, they were the only two boys. Zhang Li, Xiao Wen’s mother, walked ahead with another parent as the group walked toward Pizza Hut. Xiao Wen, Xiao Xuan and two of their other friends walked behind, chatting and playing. Hearing a cry, Zhang Li turned to see Huang with a kitchen knife in his hand. After watching her son die, Zhang Li and her husband Luo Ming became clinically depressed. Sometimes, Zhang Li feels like this is some kind of false world, and that Xiao Wen will return. For a while, she didn’t have the energy to look after her younger son. Xiao Xuan’s mother, Li Yue, also feels like she’s in a trance. She remembers that Xiao Xuan went out very early on the morning of June 28. “He was anxious to go to school, because that was the day he would get his fourth grade final certificate,” she said. Two months after the incident, Xiao Wen’s father, Luo Ming, and Li Yue sat in a coffee shop together. “My wife looked reluctant to send our other son to kindergarten today,” Luo Ming said, indicating that her numbness was beginning to thaw. Li Yue said it was a relief that Zhang Li seemed to recover a little from the loss. Huang’s mother has also lost her strength. “After it happened, I couldn’t sleep for a month. I cried until my tears dried up. A mother’s son is a mother’s son, and I was so hurt. I was no good, I was confused, my son was sick for so long and I didn’t know,” Chen said. Though she knows her son’s phone has been taken away, she still sends him messages with hug emojis. Huang's father found two lawyers to defend Huang, but the younger man refused to see either of them. Later, he chose a lawyer appointed by the legal aid center. This story has been updated to add more information and to correct several factual errors. For example, Huang Yichuan’s mother witnessed him leaving the kitchen with a knife in a bag, not a bag of knives.